Teaching & Learning | Services | Biopticka laborator s.r.o. Biopticka laborator s.r.o. is the largest pathology and cytology laboratory in the Czech Republic. It has the largest genetic department, which is specialized in issues of diagnostic oncology. It has accreditation by ČIA (Czech Institute for Accreditation) under ČSN EN ISO 15189 and holds accreditation of Ministry of health for cervical cancer screening. Biopticka laborator s.r.o. received accreditation to train doctors for attestations of pathological anatomy and also organizes certified courses for cytotechnologists. For more information on accreditation, visit the Accreditation for educational programs webpage. Furthermore, Biopticka laborator s.r.o. holds accreditation awarded by the ICDP-UEMS (International Committee of Dermatopathology = ICDP; European Union of Medical Specialists = Union Européenne Médecins Spécialistes = UEMS) as Specialty Training Center in Dermatopathology. For more information, visit the webpage of ICDP-UEMS Dermatopathology Training Center. Biopticka laborator s.r.o. regularly organizes thematically oriented congresses in the field of pathological anatomy. 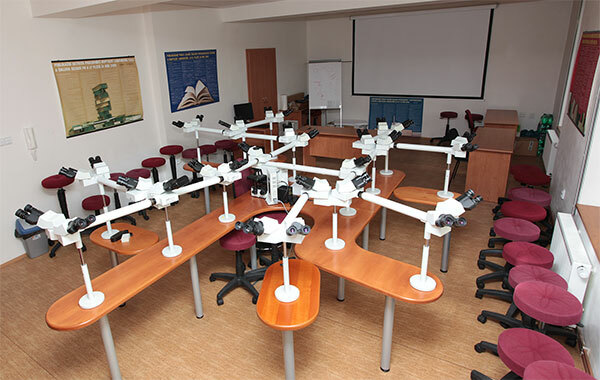 It also organizes annual seminars for its own multihead microscope. Biopticka laborator s.r.o. employs experts in the field of dermatopathology, who are involved in education of dermatopathologists. Together with the Czech Academy of dermatovenerology, Biopticka laborator s.r.o. organizes symposiums of residents and internships in histopathology. For further information on organized events, please refer to section Events. Biopticka laborator s.r.o. is also a laboratory with its own research, and extensive publication activity. For more information on this subject, please refer to Publications section. 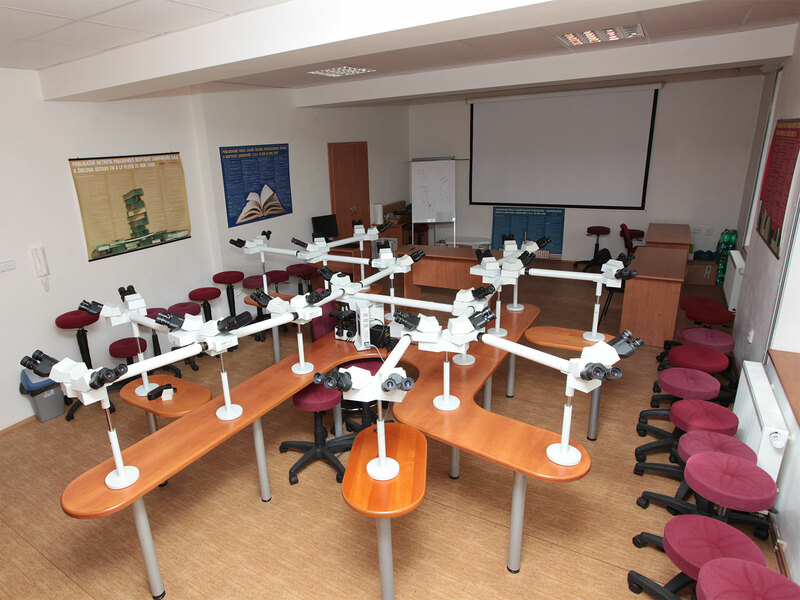 Multihead microscope in the seminar room of Biopticka laborator s.r.o.